OK, let me just throw a shamelessly non-P.C. 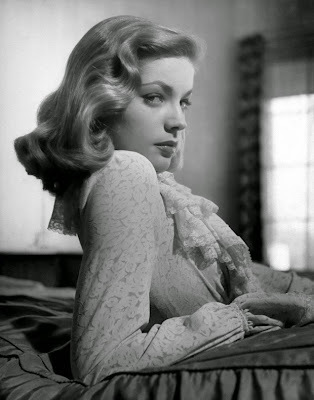 admission right out on the table: I nursed a serious crush on the late, great Lauren Bacall for more years of Late Show viewing and home-video re-viewing than I would want to admit in polite company. Loved her impudent wit and sleek sultriness in The Big Sleep, Dark Passage, Key Largo -- and, of course, To Have and Have Not. Farewell, good lady. Hope you find Bogie waiting for you on the other side. I suspect you won't even have to whistle to beckon him.